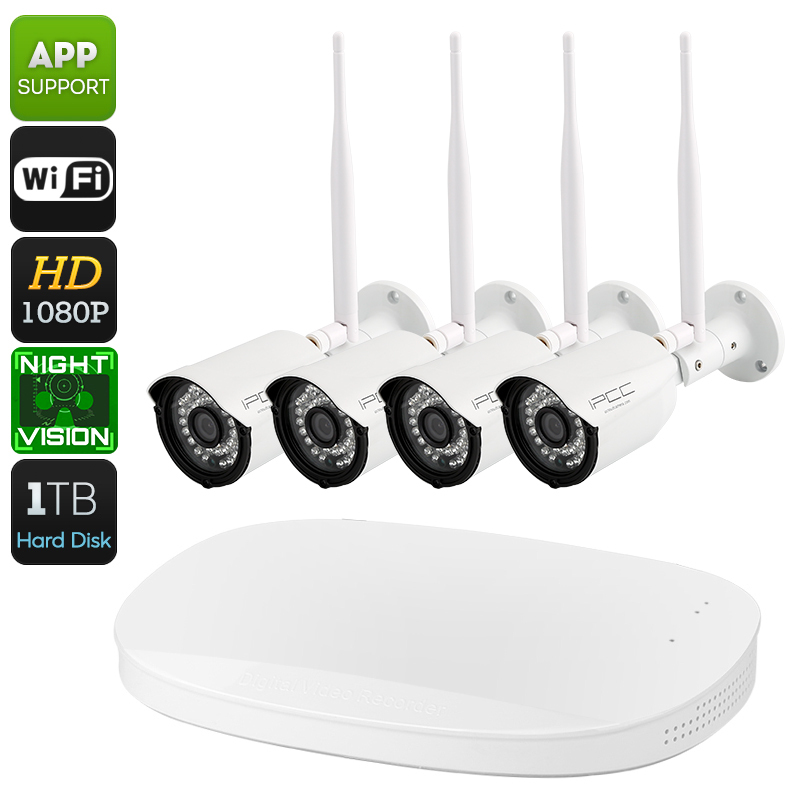 Successfully Added WiFi NVR Kit - 4 Cameras, 1080p, 30m Night Vision, IP66, IR Cut, App Support For iOS And Android to your Shopping Cart. This four channel WiFi NVR kit has been specifically designed to increase the security of your home or small business. Coming with four IP66 rated cameras, this home surveillance kit can be used properly for both indoor and outdoor security purposes. Thanks to its intergraded 1/2.7CMOS sensors, each camera is capable of providing you with Full-HD 1080p video – guaranteeing that nobody will be able to enter your property undetected. With these high-end security cameras in place, you’ll be able to significantly increase the safety of your property, family, and belongings. Supporting WiFi connectivity, each camera of this NVR kit can be efficiently placed inside your property without facing any limitations caused by internet cables. Not only does this allow you to fully enhance your overall security, it also lets you easily change the position of your camera’s while already in use. With a 73-degree viewing angle, every camera captures all that’s happening in its surroundings – guaranteeing that not a single movement will stay unnoticed. Additionally, all four cameras support 1TB of internal memory, IR cut technology, and 30-meter night vision to keep you and all your belonging safe at day and night. All recordings can be equipped with a time and date stamp which makes it easy to analyze the exact time of a potential break-in that happened in the past. Thanks to its latest NVR technology, you’ll now be able to access your cameras and previous recordings even from afar. Added to that, this NVR kit comes with its own mobile application that lets you remotely enter your security cameras via your iOS or Android smartphone. With an abundance of different recording modes at your disposal, you can be guaranteed your property security is in good hands with this high-end NVR camera kit.